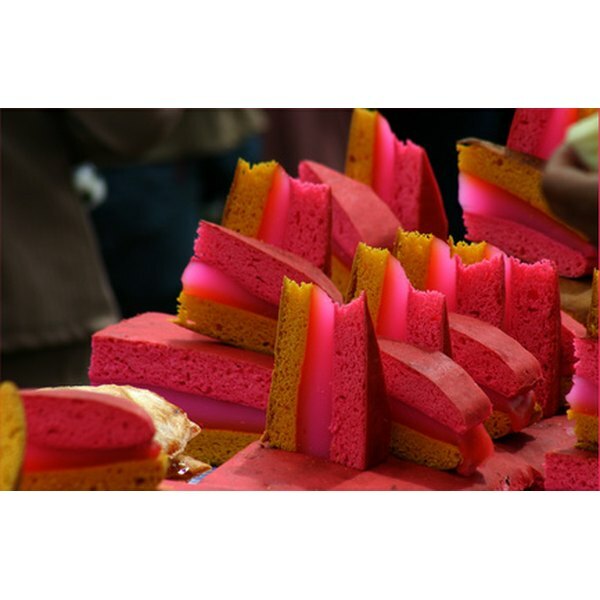 Hot pink frosting can liven up any dessert. Hot pink frosting can be useful for a variety of different occasions. Whether used to decorate desserts for a birthday party, a bachelorette party, a wedding shower or baby shower, hot pink frosting can enliven a dull cake, cupcakes or brownies. 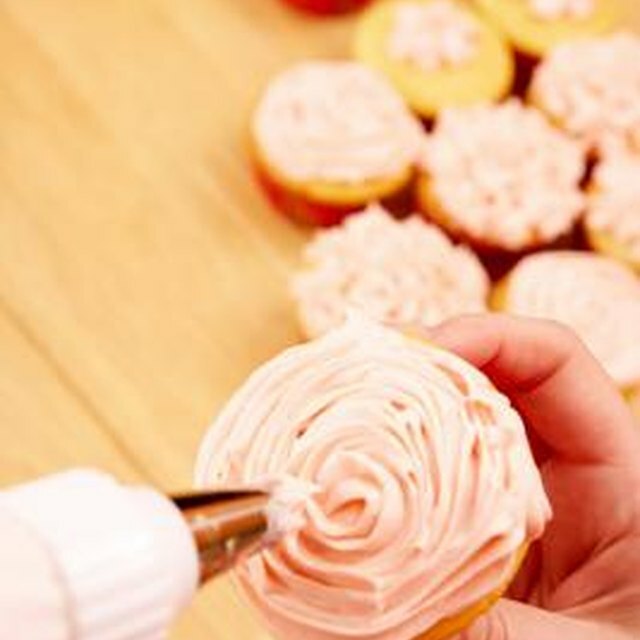 However, it can be difficult to produce this shade of frosting if you don’t have precise measurements; too much or too little of any one ingredient and you’ll have either pastel or deep pink frosting instead of hot pink. Cream your butter by mixing it with an electric mixer or very quickly by hand. Let your butter sit out for 1 hour beforehand to soften it until it is ready to be mixed. If you do not have the time, 10 seconds in a microwave will also accomplish this. Put the butter in a large bowl, turn your mixer on a medium setting and stir the butter until it is an even consistency. Stop the blender and add the sugar, milk and vanilla to the blended butter. Mix the ingredients for 1 to 2 minutes by mixer, or 3 to 4 minutes by hand. Turn the mixer back on to a medium setting, blending in the sugar, milk and vanilla for 1 or 2 minutes. You will know it is ready when it is an even consistency, with no streaks of different textures or colors. Turn the mixer off. Add the food coloring. Stir by hand to mix in the food coloring. Keep stirring for 1 to 2 minutes, or until the food coloring is completely blended and the frosting is an even color throughout. If your frosting is too bright, add in 1 to 3 drops of yellow food coloring to tone it down; if it is too pale, add in more rose food coloring to enliven it.